Hi, I'm new to modding and saw this and thought it looked great and simple, but when I did all the steps and loaded into my game it said "unable to authorize the listed DLC. Please log into the Alliance Network with the account used to purchase the DLC." I was connected to the internet when starting my game and have multiple other DLC's installed. If anyone could help me figure out what the problem is that would be great. 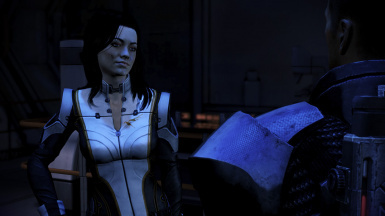 So, Miranda is wearing this on board the Normady, but is wearing her normal outfit as a squadmate. I can't figure out if I've done something wrong or if this only works in scenes and not in squad selection/missions. Hi, any chance Miranda wearing EDI catsuit mod? So this mod isn't working for me, and I can't figure out why. I have no other Miranda clothing mods, or any others that might affect it. 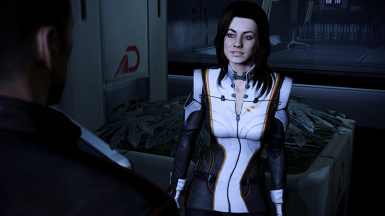 Miranda is still just in her vanilla outfit. (I have only tested this for her hologram scene on the citadel.) I've tested other Miranda clothing mods, and they seem to work fine, so I'm not sure what the issue is. 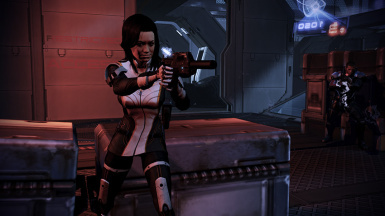 I'm running a number of other major mods (EGM, w/Miranda mod, for example). Any idea what I should try to do? Might it be a compatibility issue with mods? Something else? I'm not expecting an exact answer, I just need some guidance on what sort of things I should try to get it to work..
Looks way better on Miranda. Nice work. Hello! First off, an excellent job you've done with her outfit! Ashley's old jumpsuit really fits Miranda much more. 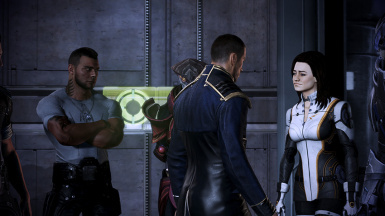 Second, I'm using this (http://www.nexusmods.com/masseffect3/mods/512/?) mod designed to be used with EGM. Will your Miranda mods conflict with it? It seems like this particular one is unnecessary but I don't know about the Armax one and I already have the Horizon one installed. Thanks! is this in high res? If I only wanted this worn for the Citadel DLC apartment visit and party, what .PCCs should be removed? What PCC affects the Horizon mission? 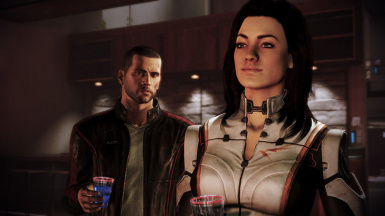 Could you make a mod that puts Miranda in her Black/Orange catsuit from ME2? I always thought that made her look more business-like than the default one.